KINGs are a new East Coast melodic, yet heavy-hitting rock band featuring former members of King Friday, Crack The Sky, Joe Lynn Turner among others. The band are returning to Club 66 in Maryland for two very special shows and one very special show at Jammin Java in Virgina. According to the band we are trying to do things a bit out of the box, we record a two track single and we used those as a thank you note to people that attended our inaugural shows. The CD’s are also available via our label Melodic Revolution Records. Now were takin it to the next level, our first full length recording will be a live album recorded over three nights in Maryland and Virgina. We would like to invite as many people out to these shows as possible. We will also be filming the shows for future use, as either videos, live DVD or both. 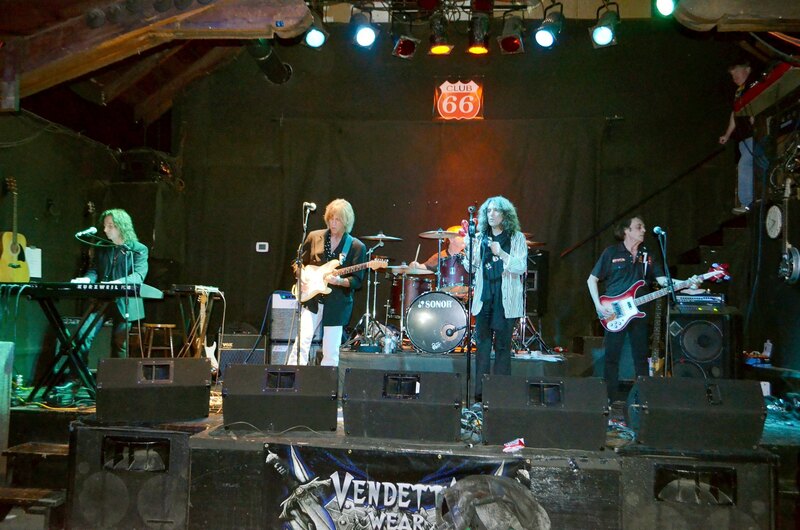 Joe Macre: Bass, Vinnie DePaul: Keyboards and Phil Naro: Vocals, Corey Holland: Drums, Michael Fath: Guitars.